Jaguar Mk II 3.4 Litre, year 1964. 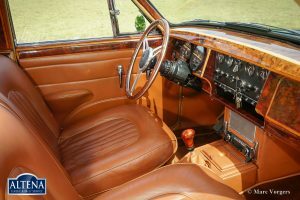 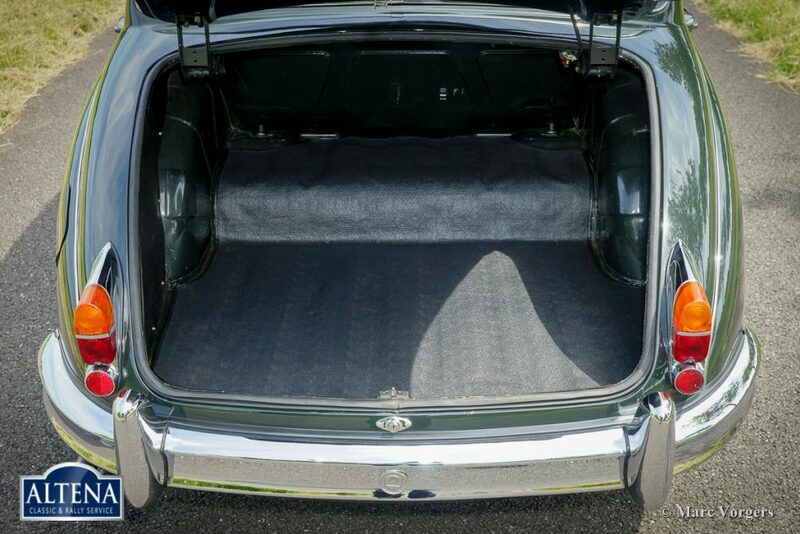 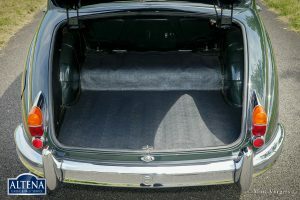 Colour British Racing Green with a cognac leather interior and matching carpet. 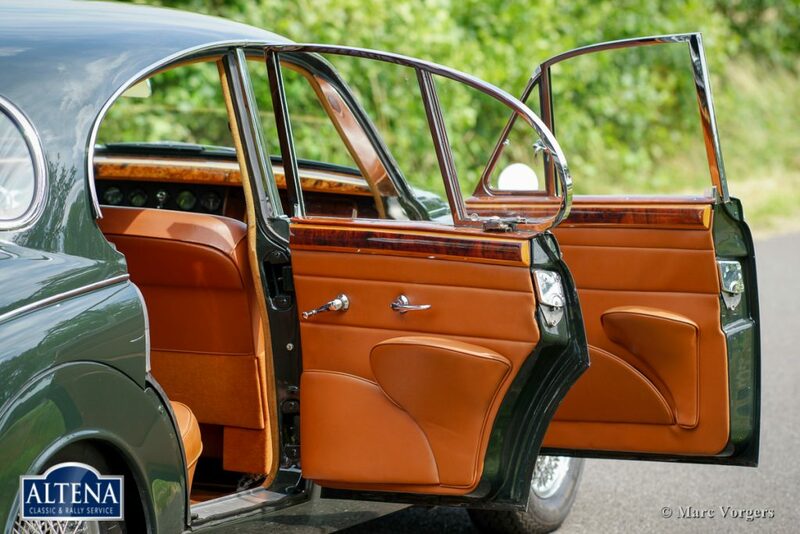 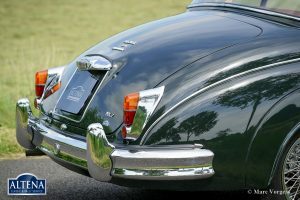 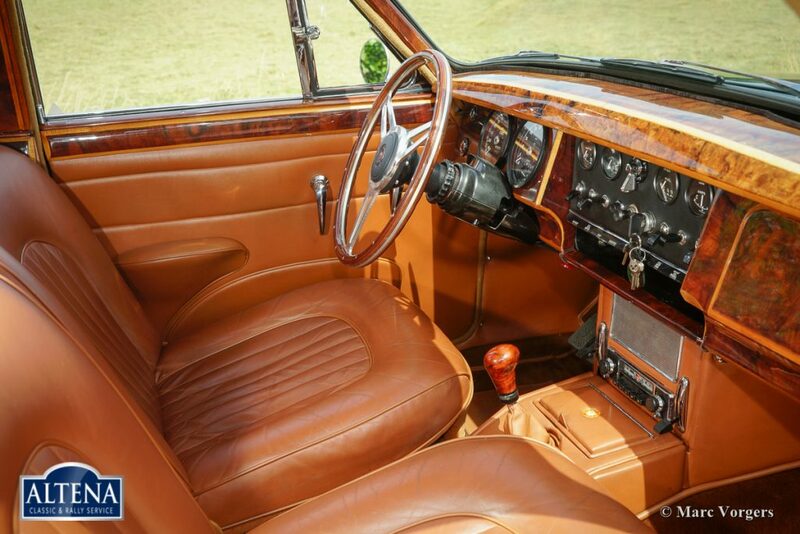 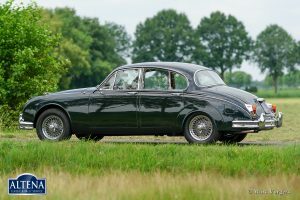 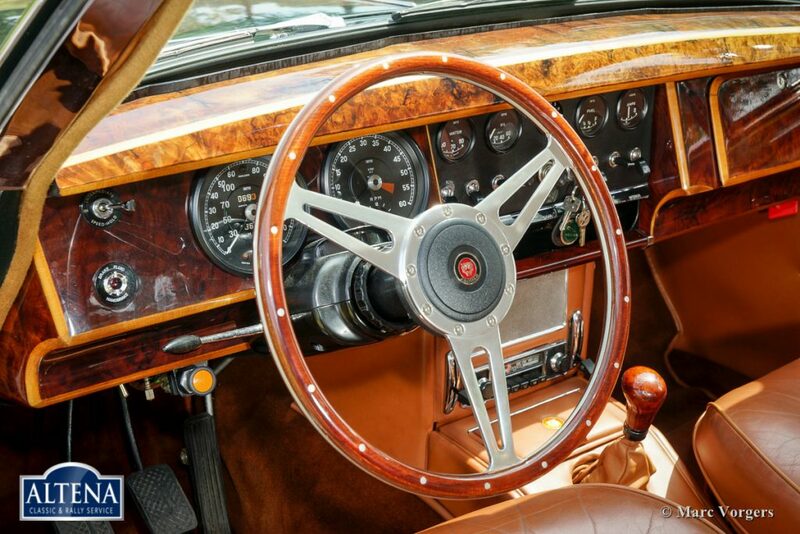 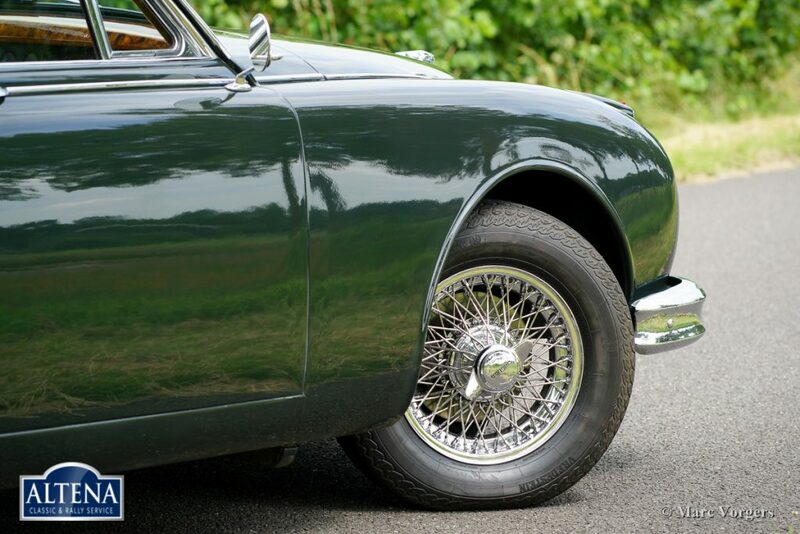 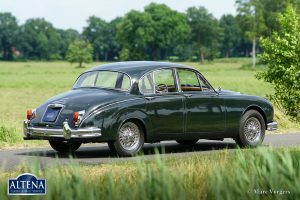 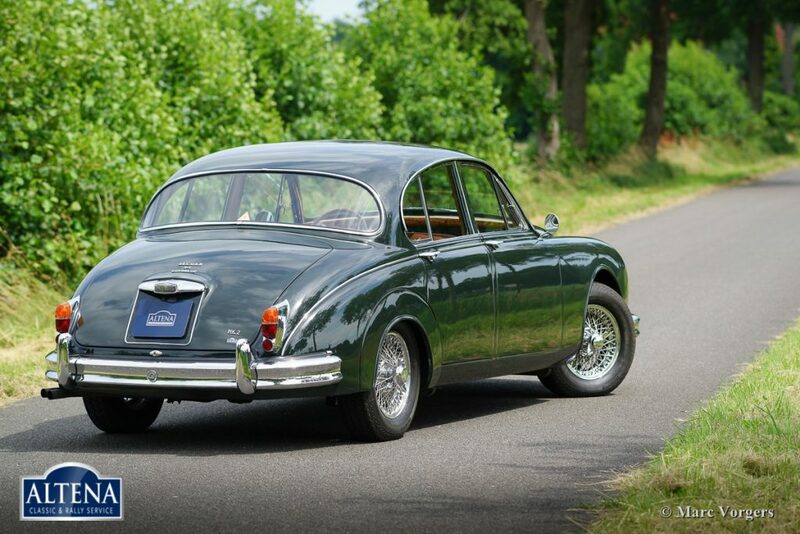 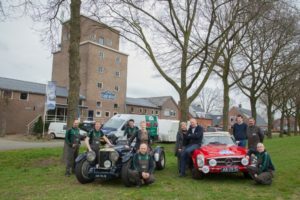 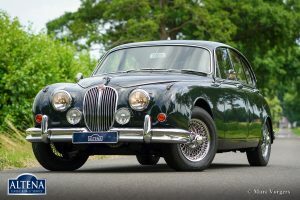 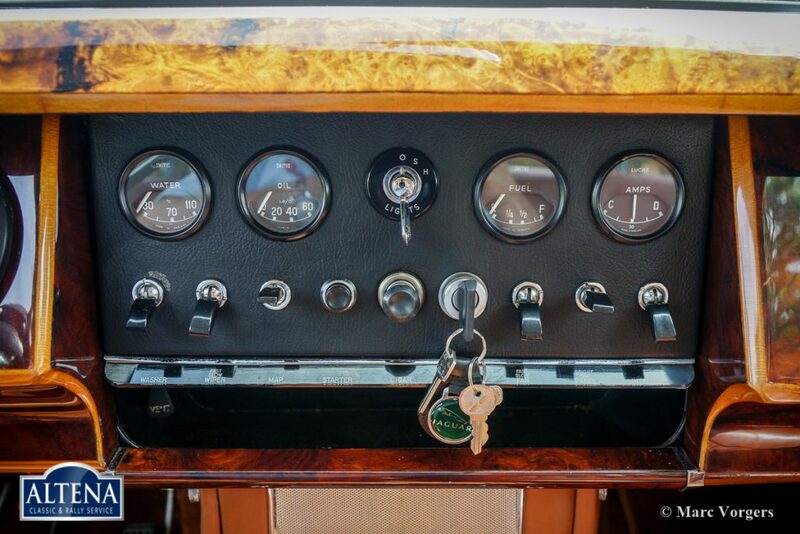 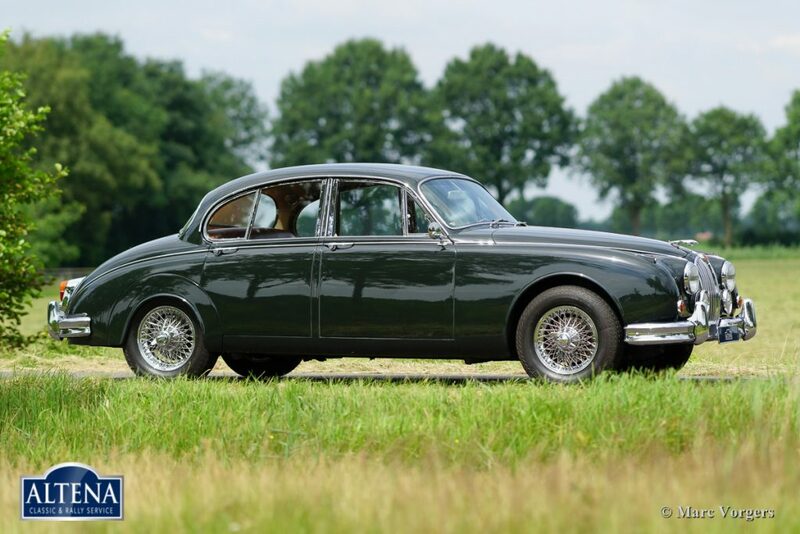 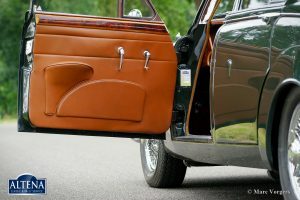 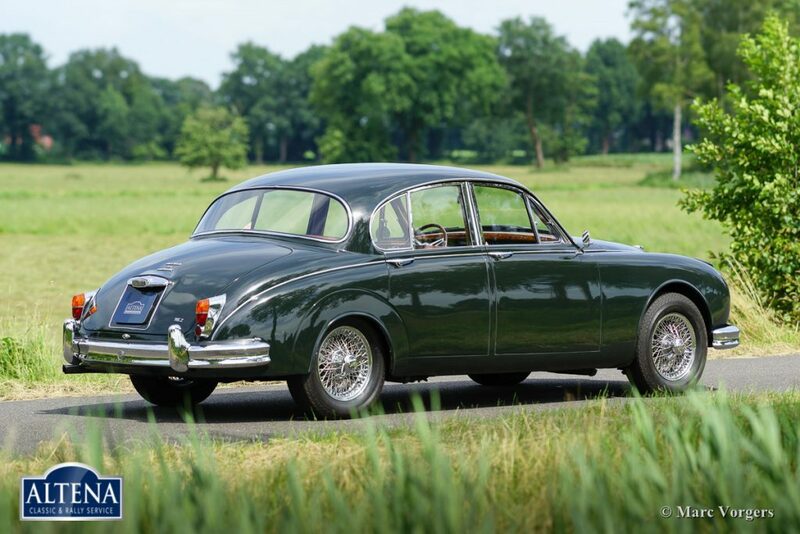 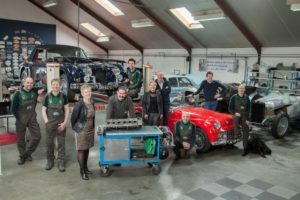 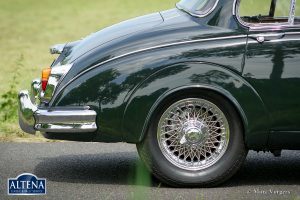 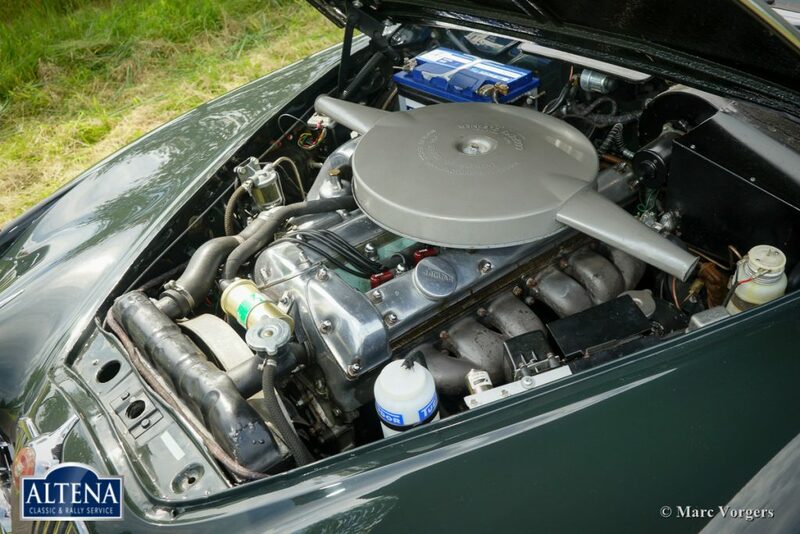 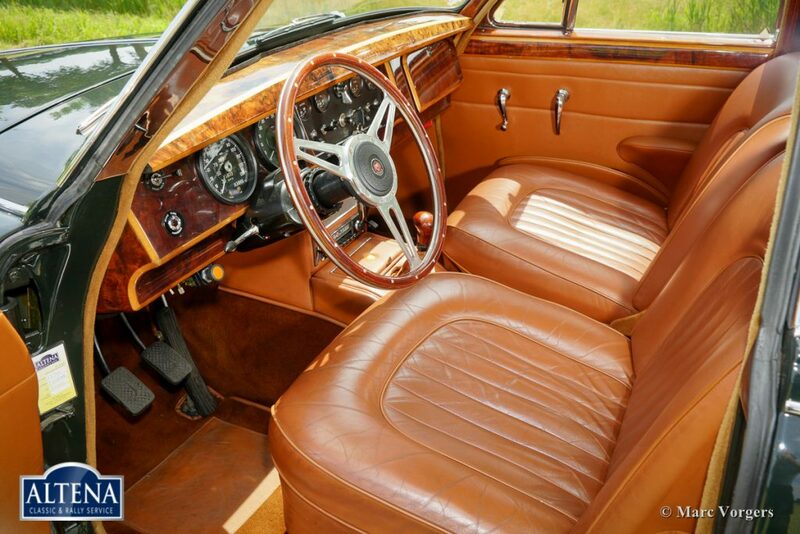 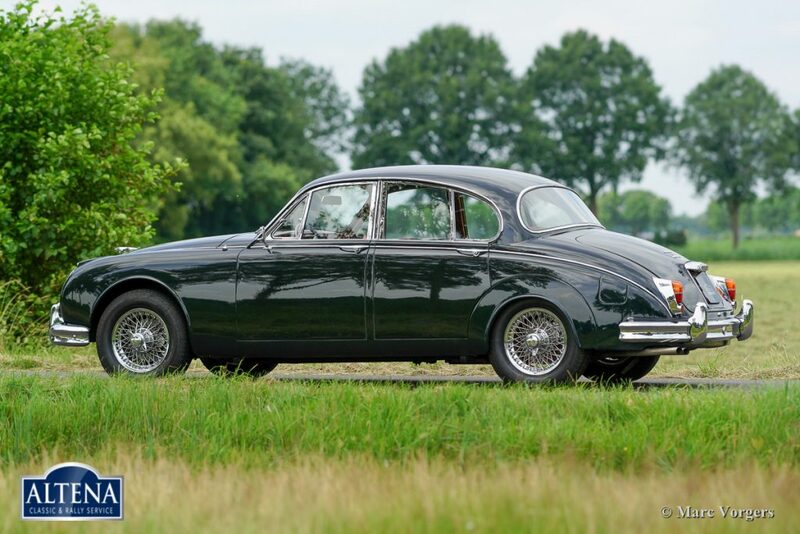 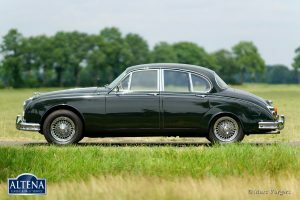 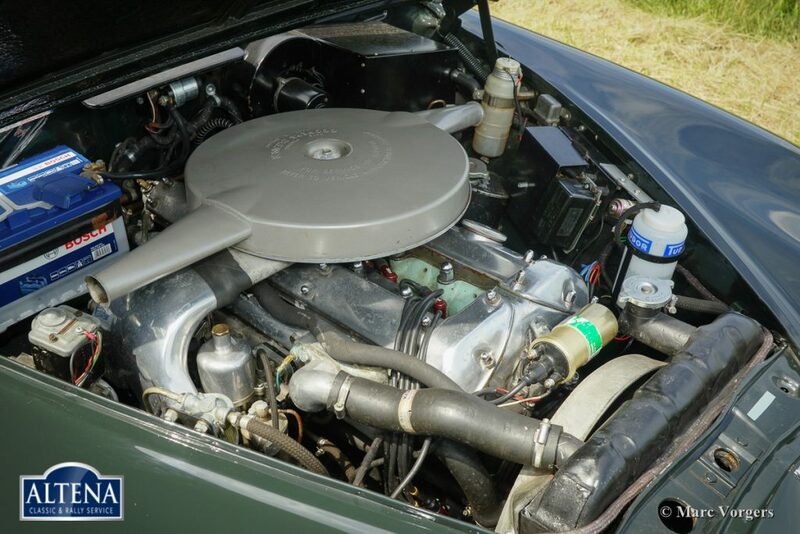 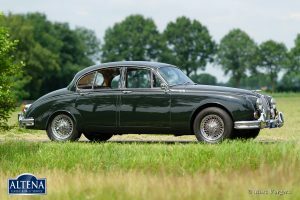 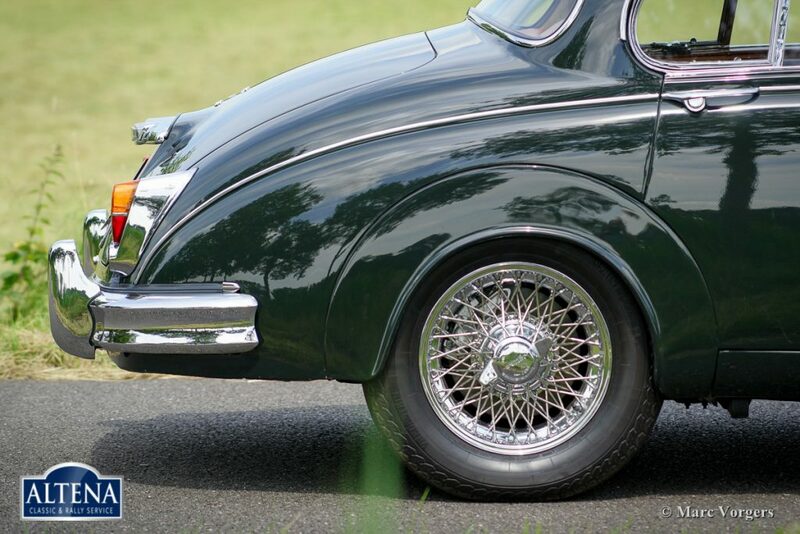 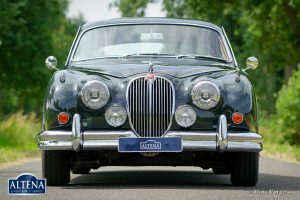 This beautiful Jaguar Mk II was extensively restored by Altena Classic Service in the past. 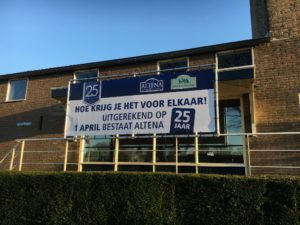 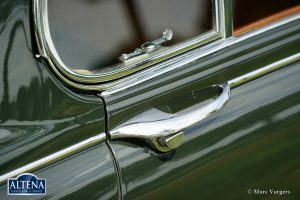 In 2010 the automobile was sold to Germany. 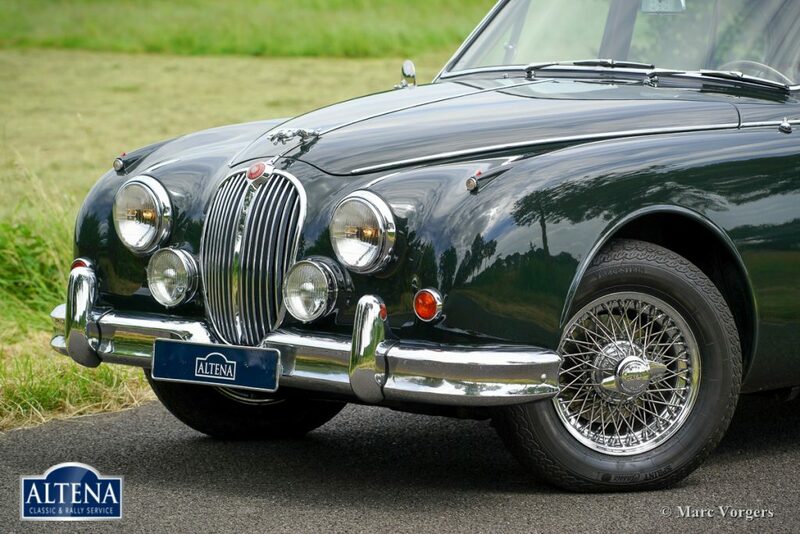 The Mk II has been meticulously serviced and maintained in our workshop ever since. 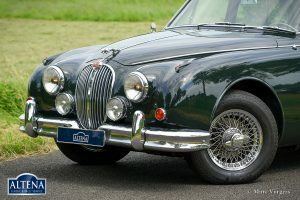 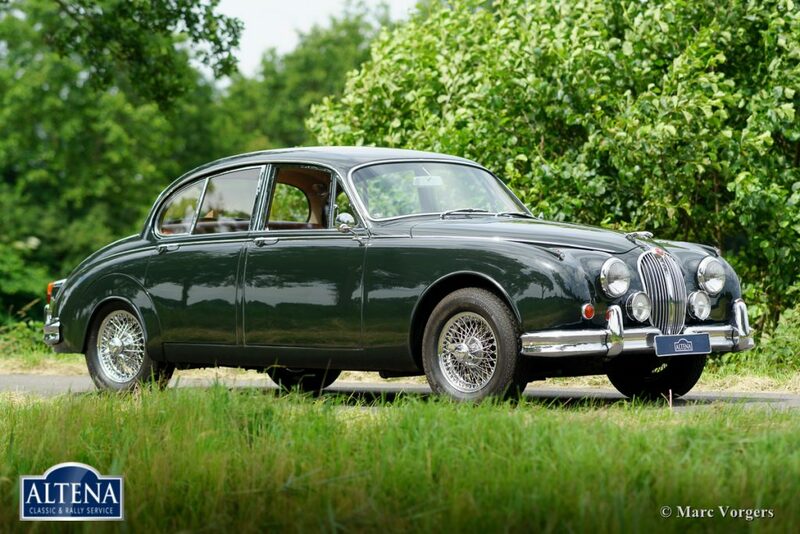 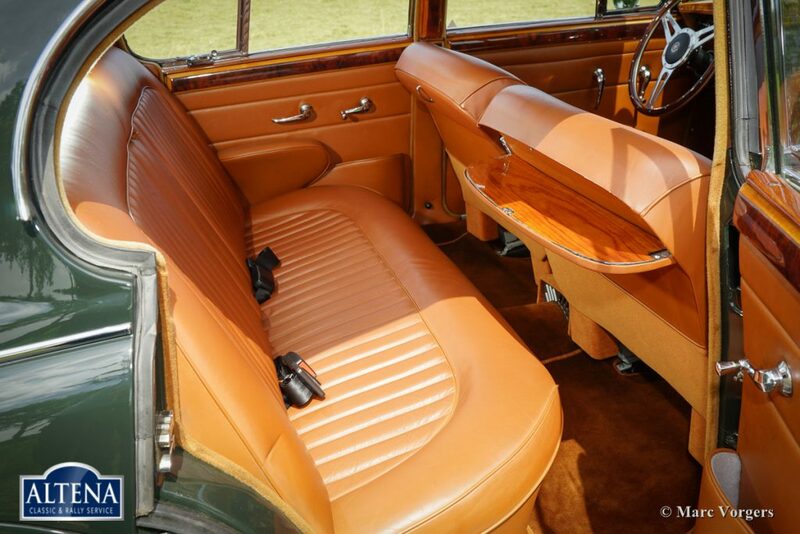 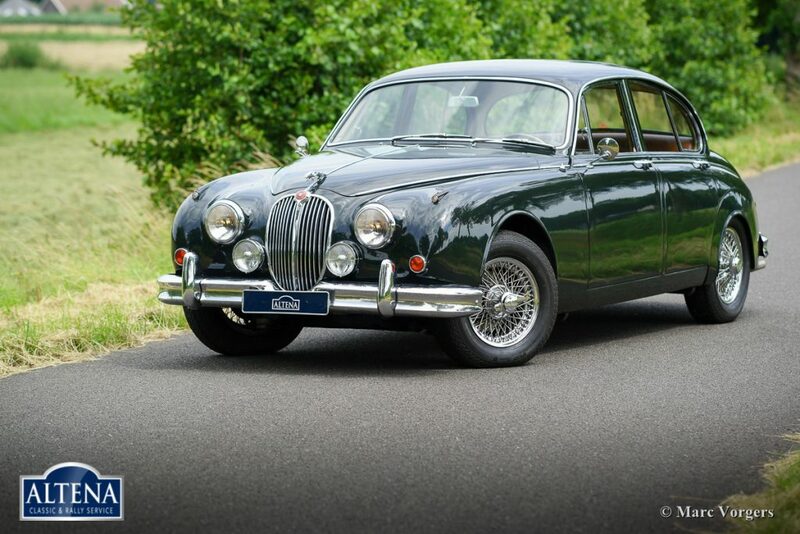 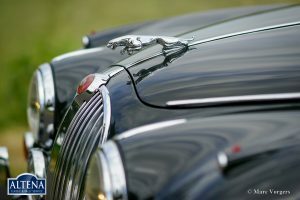 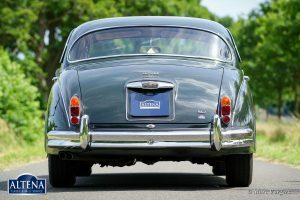 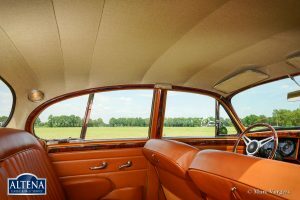 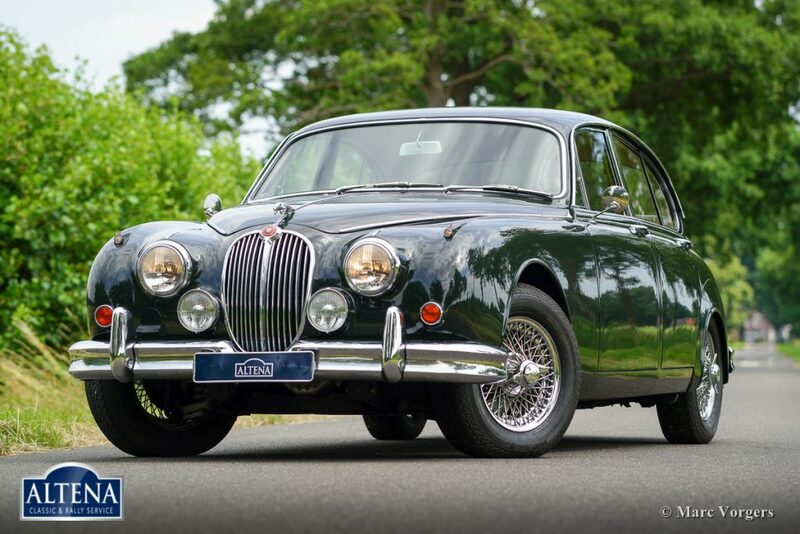 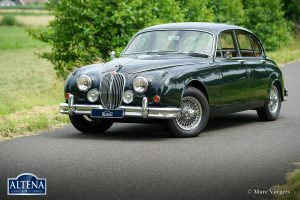 This magnificent Jaguar Mk II is in superb condition and the car drives perfect! 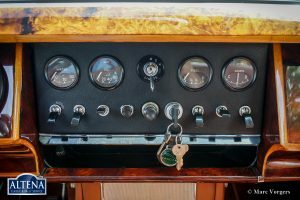 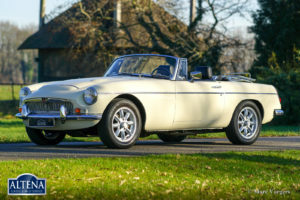 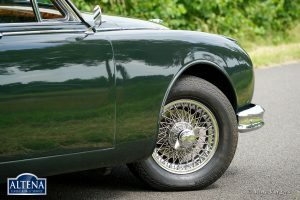 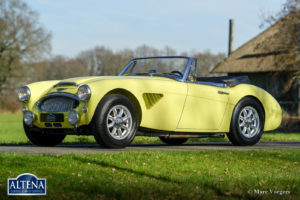 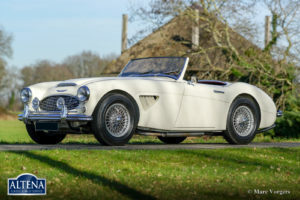 The car features a 5-speed manual gearbox (modification), chrome wire wheels, chrome eared ‘knock-off’ wheel nuts, upgraded suspension with adjustable shock absorbers, special springs and polyurethane bushings. 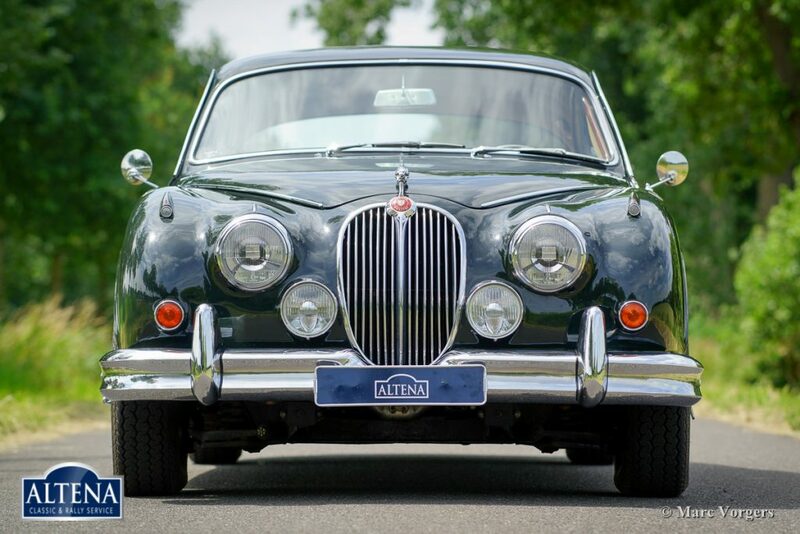 This eye-catching Mk II comes with a solid service history. 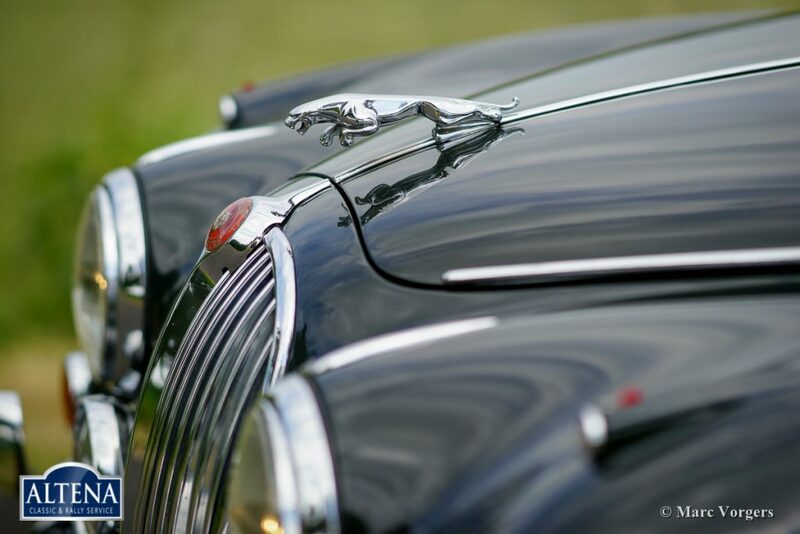 A delightful and very stylish Jaguar Mk II!